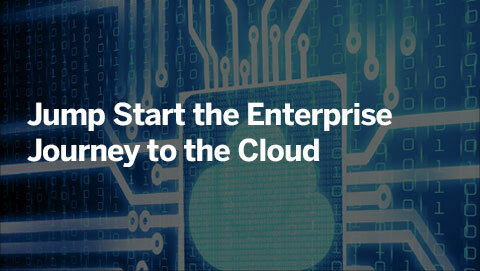 As technology becomes obsolete, and organizations grow, merge, or consolidate operations, a number of enterprise applications end up outliving their usefulness and quickly become "legacy applications". Faced with the unknown complexities and consequences of not complying with data retention requirements, many legacy applications are never shut down despite the drain on much-needed production resources and capital. Solix Application Retirement solutions removes the risk and complexity of application retirement/decommissioning and enables IT organizations to successfully retire legacy applications to meet compliance objectives and maintain data access for users. It provides a unified and effective ILM framework to retire all legacy packaged, and custom applications, across relational databases and mainframe platforms. The solution also enables the archiving of all associated unstructured data including report extracts (.PDFs, Excel, .csv), documents and multimedia files. Retiring legacy applications creates instant cost savings by freeing staff for more important assignments, eliminating licensing and maintenance fees, and enabling IT to repurpose valuable production hardware. 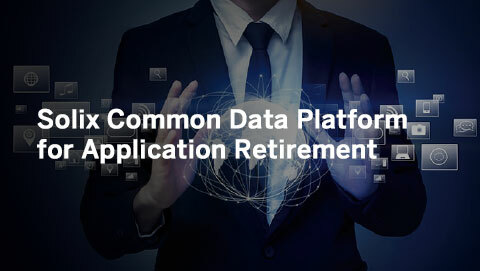 As part of application retirement process, Solix creates a copy of legacy applications’ data, including custom tables in a cloud storage / RDBMS archive repository, then validates the retired data to ensure it has moved data in its entirety before purging it from the source. Access to retired data is made available to authorized users through a business user-friendly portal. 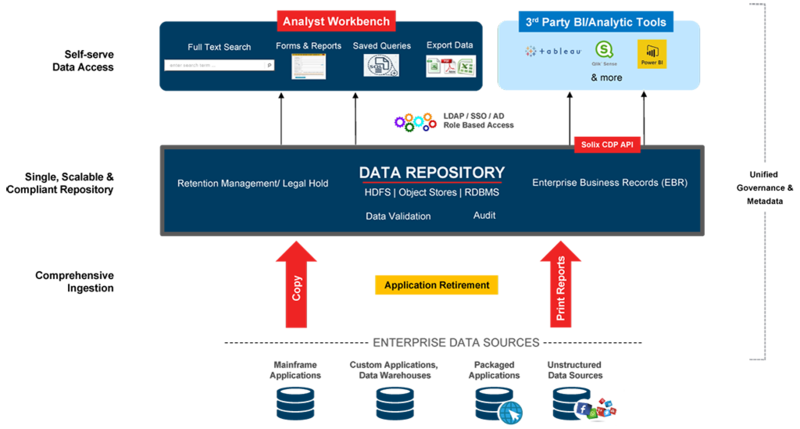 Through well-defined role-based access controls (integrates with LDAP/SSO/AD), authorized users can easily access retired data using full text search, saved queries, and custom report features to meet compliance, eDiscovery, and other regulatory and business requirements. Solix automatically captures and stores the structural and relational metadata to allow the creation of custom retirement configurations and business objects. Metadata also helps preserve data integrity and implement a comprehensive data governance & ILM strategy based on business and regulatory requirements. With its comprehensive and flexible ILM and legal hold features, Solix enables long-term retention of data to meet compliance and legal requirements. If an applicable regulation demands for immutable storage of data, organizations can leverage the various WORM storage options that Solix integrates with. 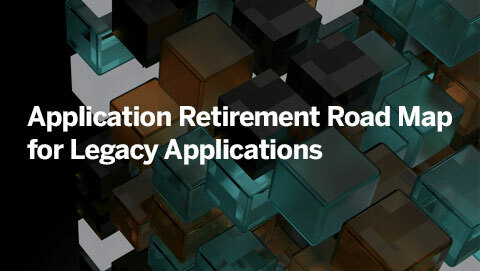 Application Retirement is emerging as a structured approach in application portfolio management. The costs associated with managing legacy applications can be significant – organizations must maintain expensive application operating environments simply because they need to retain application data. 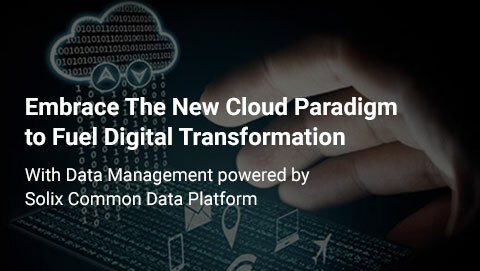 Extracting data from legacy applications in a simple and straightforward way while ensuring access to this data over time allows organizations to reduce costs and ensure compliance.